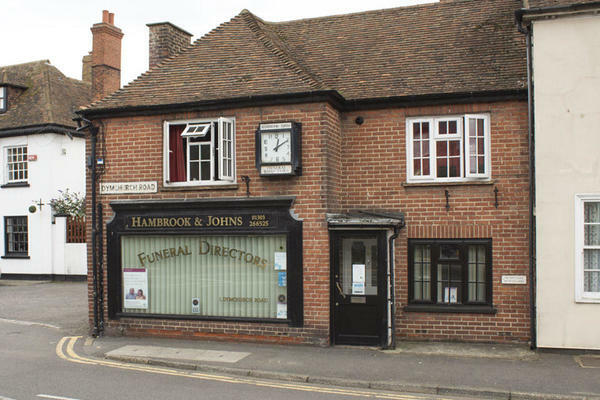 Hambrook & Johns Funeral Directors in Hythe has a long-established presence on the Kent coast, providing the highest standard in funeral care to the local community. We are here to ensure your loved one receives a farewell truly reflective of their life. Our first commitment is to you. A pledge that forms the basis of everything we do. From the care we offer, through to the funeral and how we make certain all aspects of the occasion are tailored to your specific wishes. You will receive sympathy and understanding from the first time you speak with one of our professional funeral directors, along with all of the support you need. We aim to ease some of the burden the loss of a loved one can place on you, by helping to arrange the funeral you want. You can rely on us for guidance and advice, when you need it, as well as being here for you if you just want to talk. It also goes without saying that we can cater for all types of ceremony, whether it be religious, humanist, traditional, or something closer to an uplifting celebration. Our funeral home is located at the town end of the Dymchurch Road (next to the Red Lion pub) and is easily accessible to the local community, as well as areas outside of Hythe, such as Palmarsh, Lympne, West Hythe and New Romney. It is equipped with a chapel of rest, where, should you wish, you can spend some time with your loved one in comfort and privacy. We can open our premises outside of normal hours, allowing you to visit at a time more convenient to you. Our team of funeral directors is available to talk 24 hours of the day. We will be here for you, when you call. Call us today on 01303 266525 to talk through your personal requirements. Our staff are available 24 hours a day on 01303 266525 if you require our services outside of these hours. The whole package was excellent and compassionate. I cannot think of one thing that Hambrook and Johns could have done better. Every one was kind, caring and professional. Excellent service from the first meeting onwards. The attention to detail was fantastic & the day went without a hitch & everything was timed to perfection. The staff were very professional, caring & compassionate & took the family's views into consideration throughout. We would not hesitate to use their services again & would recommend them highly. The service was professional and compassionate, thank you. Hambrook & Johns were excellent , they took care of everything for us and helped every step of the way . They took all the stress out of a very stressful time for us. I would not hesitate in recommending them to anybody.